A big X-cameo was featured in the final panel -- what does it mean? ICEMAN #1 officially glided onto shelves last week, and it marked a great return for a fan favorite character! 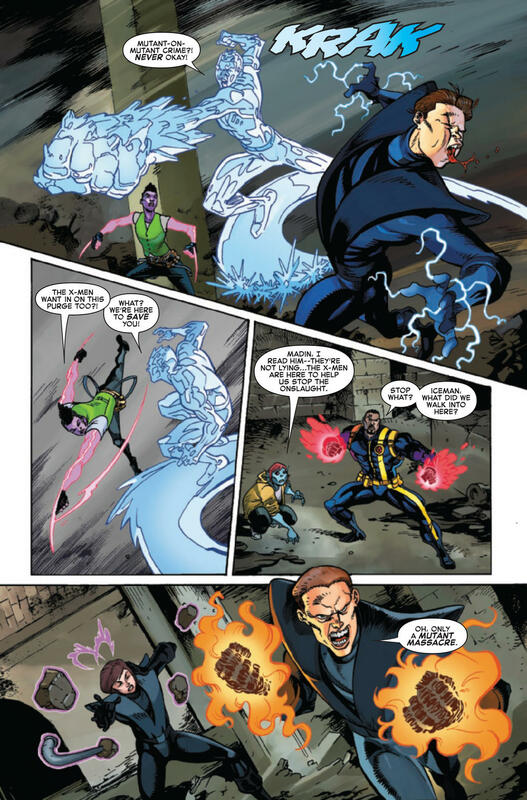 Bobby Drake aka Iceman is back, trying to navigate a social life, and teaming up with a new crew to help defeat a new threat. Writer Sina Grace provided some insight on what's happening with the Morlocks and what readers can expect: "Similar to my last run on Iceman, I’m gonna take my time coming back to these faux-Mauraders. It’s safe to say that they’re just one of a few players in Mr. Sinister’s grander schemes." But the biggest scene-stealer in ICEMAN #1 was another frosty member of the X-Men, Emma Frost, who made an appearance in the final panel. What are her intentions? 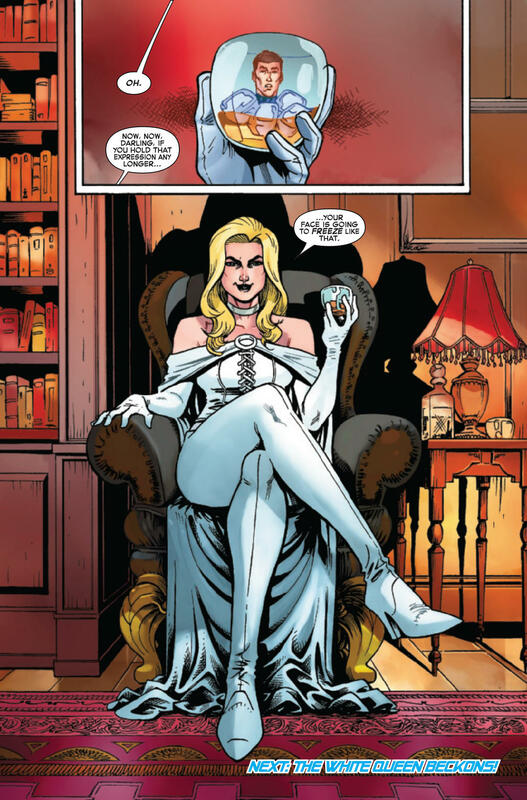 Grace offered some insight: "Emma Frost, in all her White Queen badassery, needs Iceman for a family affair. We’re gonna get to see her be tough, vulnerable, and you can bet that Iceman is gonna get something special out of the encounter!" ICEMAN #1 is now on sale online and at your local comic shop! You can also pre-order your copy of ICEMAN #2, which goes on sale Wednesday, October 10! The Iceman writer joins Angélique Roché on a new episode! More X-Men news than you can handle!